In an effort to make everyone's visit to the Tiffin-Seneca Public Library an enjoyable one, the Library has implemented a series of policies that will enforce rules and regulations. These rules are for patrons’ safety and comfort, and for preservation of the library building and materials. Cell phones and pagers should only be used in the building’s lobbies. Patrons may not leave children under age eight unattended in the library. Parents are responsible for the behavior of their children while in the library. Disruptive patrons eight or over may be asked to leave after receiving one warning. Acts of vandalism, theft, or other illegal activities committed on library property will be reported to the police. Normal standards of cleanliness are expected. Shoes and shirts must be worn. Patrons not conforming to Library Use Rules may be asked to leave the Library property and/or Library privileges may be suspended. The Tiffin-Seneca Public Library does not monitor, and has no control over, information accessed through the Internet and cannot be responsible for its content. As with all other library materials, children's access to the Internet is the sole responsibility of the child's parent or guardian. The Tiffin-Seneca Public Library provides access to the Internet and other electronic services to further our mission of selecting informational and educational resources of value to our community. These services are offered in conformity with the Library's Materials Selection Policy. Do not attempt to run your own software, customize files or change configurations. To ensure privacy for your personal accounts, such as e-mail, electronic ordering, etc., please log off each account with finished with the application. Public libraries want to protect the privacy of their patrons while responding to legitimate national security concerns. Tiffin-Seneca Public Library recognizes the confidentiality of information sought or received and materials consulted, borrowed or acquired by a library user. A place for learning and pursuit of knowledge and information on any topic. The library will do its utmost to uphold the privacy and confidentiality of patrons’ free access to information. The library will rely on existing laws and library policies to control behavior that involves public safety or criminal behavior. HR-3162 became Public Law 107-56 in response to the events of 9/11/01. The full title of the law is: Uniting and Strengthening America by Providing Appropriate Tools Required to Intercept and Obstruct Terrorism Act of 2001. The Act may provide law enforcement broader boundaries when investigating information accessed and transmitted by patrons with regards to national security concerns. Database Search Records: These records refer to the searches of the collection a patron may conduct on the Online Public Access Terminals (OPAC). 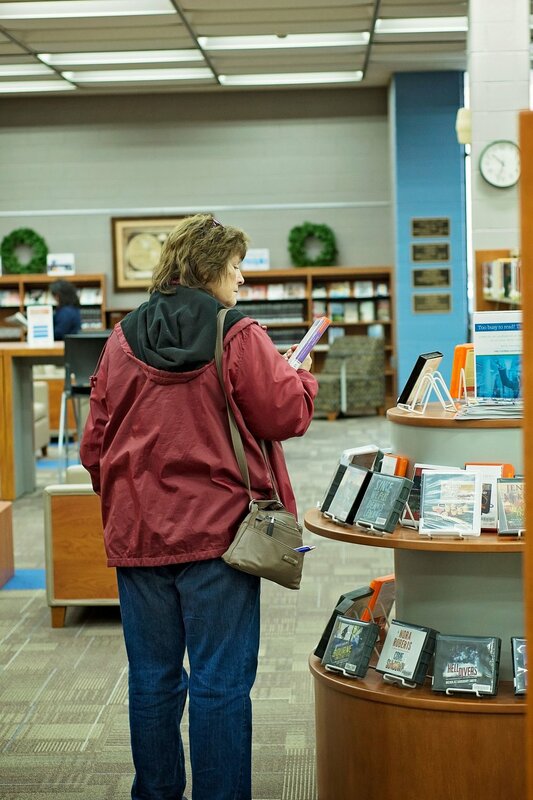 These searches are conducted by utilizing the library’s automated circulation system. Once a search is conducted, the software does not retain a copy of the search. Any records of the search will not exist. Circulation Records: Patron material is circulated via the SEO system. The circulation software tracks materials currently checked out, automatically erasing a reader’s borrowing record once a book is returned and all fines are paid. Computer Use Records: The library system is equipped with public computers. Patrons use their library card to access the computers. The library does not assign a computer to a patron and no paper record with the patron’s information printed is generated. When the patron logs off, the software erases all history of his research and activity. Interlibrary Loan Records: Patrons may borrow items not owned by T-SPL from other libraries worldwide via Inter-Library Loan (ILL). T-SPL tracks items currently being borrowed and generates a paper record with patron information. Once the materials are returned and all appropriate fines and/or fees are paid, the paper record is destroyed. Reference Interviews: A reference interview occurs when a patron looking for information approaches a library staff member. The staff member questions or interviews the patron in order to narrow down the specific information needed. No paper record is kept during the interview that has any patron information on it. If a patron name and number is taken by phone, and patron information is written down, as soon as the requested information is delivered, the paper record is destroyed. T-SPL administration will comply with law enforcement when supplied with legal subpoena or warrant.